48 Hours: What causes gun violence? Ali M. Mattu, Ph.D., is a clinical psychologist at Columbia University Medical Center. He is featured on Saturday's "48 Hours" investigation into the murder of California couple Andra and Brad Sachs. The couple's son Ashton is charged. Mattu's opinions do not necessarily reflect those of CBS News or "48 Hours." Virginia Tech, Aurora, Newtown, and now Umpqua -- reports of lethal gun violence have become a common occurrence in the United States. The perpetrators behind these crimes seem to fit a common mold - a young male struggling to fit in escapes reality by playing video games while he meticulously plans a deadly attack. Mental illness is often identified as the mostly likely cause of the assailant's actions, and debate swirls as to whether violent video games were in part to blame for the attack. Ashton Sachs, the subject of Saturday's "48 Hours" investigation "Shadow of Death," fits this story. Prior to killing his parents and leaving his brother paralyzed, he had a history of depression, struggled with suicide, and abused substances. He became increasingly isolated, logged thousands of hours playing video games, and failed to meet his academic responsibilities. But this doesn't tell the whole story behind violence, mental health, and video games. There is no one factor that leads to lethal violence. Focusing only on mental health discounts the impact family, friends, and local communities have on gun violence. 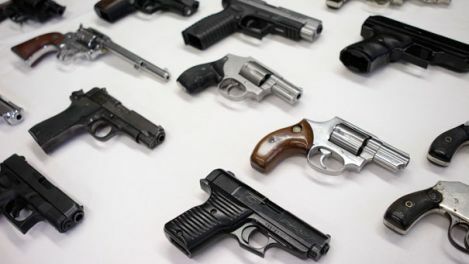 Substance abuse, poverty, a history of violence, and access to guns are much better predictors of violence than mental illness, according to a review published in the American Journal of Public Health. Mental illness can lead to suicide, but on its own it does not lead to homicide. The same is true for video games. While violent video games can increase vulnerability to aggression, they do not cause violence, according to an American Psychological Association task force report. Video games have become the chosen form of entertainment for generations around the world. Most live their lives without any interference from video games. Ashton Sachs arrest photo "48 Hours"
Violence is a complex problem and requires systemic solutions. At the community level, partnerships between law enforcement, educators, and mental health providers have been shown to reduce gun violence. Teaching evidence based parenting skills can divert families who are at risk for violence. Individually, we are all responsible for assessing whether our children, students, and patients are meeting age appropriate developmental milestones. Are they able to manage their emotions? Can they maintain friendships? Do they independently complete tasks that are assigned to them? Are they meeting the responsibilities of their school or job? Those who are struggling should not be ignored, accommodated, or sent away -- they need help. Throughout all these tragic stories of gun violence, there was a window of time in which something could have been done. As our country remains divided on the issue of guns and violence, our best hope at saving lives remains early identification of those who are most at risk of committing violence. Focusing only on mental health and video games is scientifically inaccurate and makes us vulnerable to missing another opportunity to stop a killer.